A co production between 154 Collective and Creative Scene, supported by The Big Imaginations. A new family show with music, animation and puppetry. So Rabbit Girl and her Dad have done what they do best – pulled on their boots, packed their tent and headed off into the wilderness. Join them around the campfire to hear about some pretty awesome adventures by some pretty awesome kids just like you. 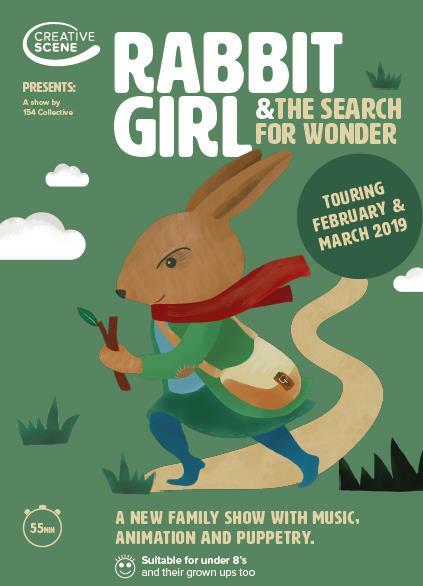 Playful, poignant and with a little sprinkle of magic, Rabbit Girl and The Search for Wonder is a new show inspired by stories from real families.